Las Vegas, NV - Vegas Fling Pre-Entries open this Tuesday January 15th at 9am Pacific Time. NEW Higher Guaranteed Winner’s Purse, better pay scale, and Vegas Travel Friendly Double Entry Rule! Come join us in Vegas for our 2019 SF Million. Las Vegas, NV - The team from Auto Club Raceway at Auto Club Dragway combined for 74 points to capture the Team Championship at the NHRA Summit Racing Series Pacific Division Finals in Las Vegas and Bobby Dye, Sacha Hoefer, Garrett Hoefer, Rick Newport and Zach Meziere took individual titles and now advance to the NHRA Summit National Championship. Las Vegas, NV - Perivolaris, Bogacki and Dimino take home $30k each in Vegas, while Randell Reid took home the "BIG" check on Friday's Million Dollar Race. Click Here for complete story recap with photos! 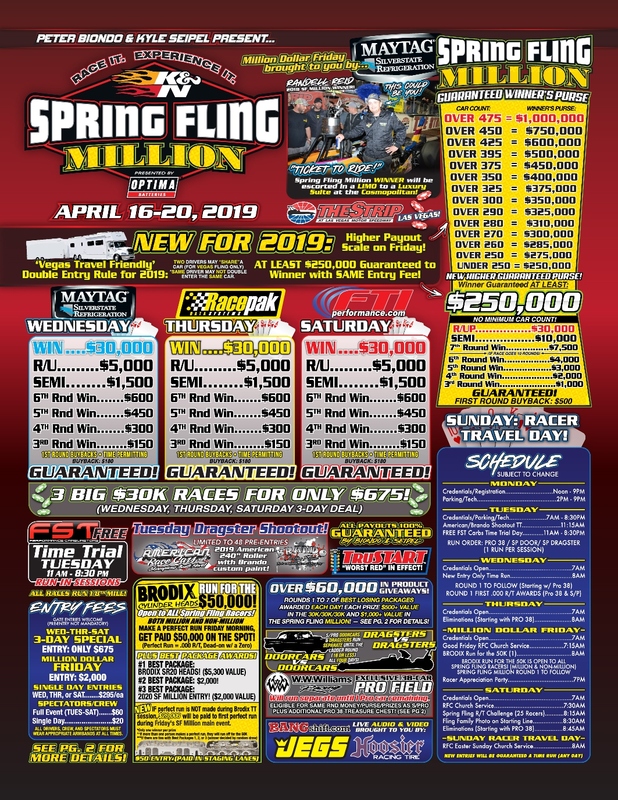 Las Vegas, NV - The K&N Spring Fling Million from The Strip in Las Vegas kicks off Wednesday and runs through Saturday. 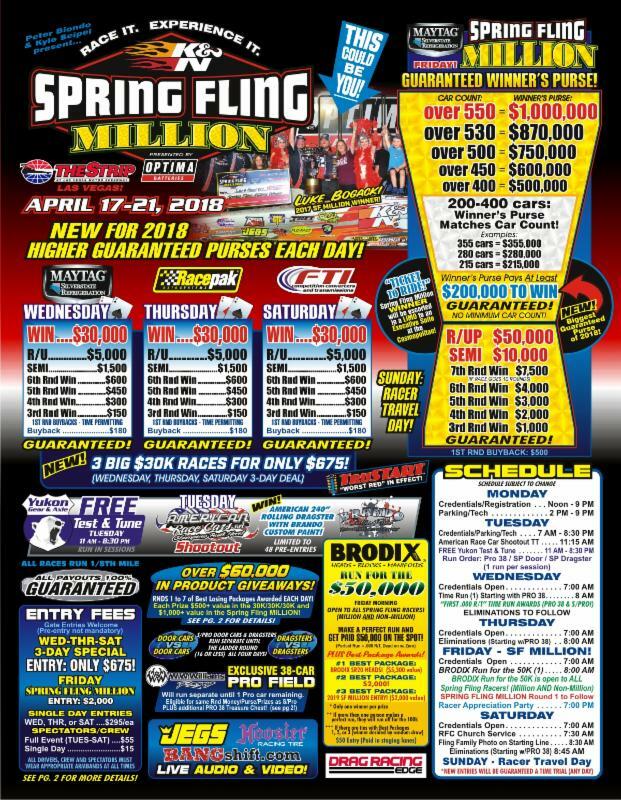 3 days of $30,000 to Win racing action with the $200,000 Guaranteed Million plus running on Friday. Click Here for Live Coverage and Chat all week long! 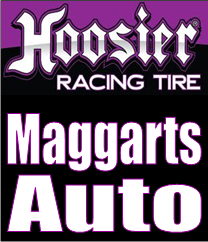 Las Vegas, NV - In the Top Dragster final round, Dan Lafferty, Wendell, Idaho, nailed the tree with a perfect light to take the hole shot win running 6.527 seconds, 205.10 mph.